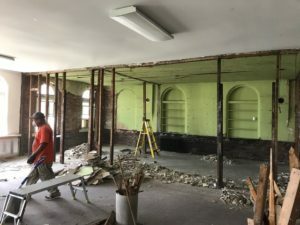 The first church founded in Sylvan Park is currently undergoing rehabilitation in preparation for a second life as an events venue. West Nashville United Methodist Church, located across from Richland Park on Charlotte Avenue, was founded in 1888 as the First Methodist-Episcopal Church in the area then known as “New Town”. The church closed and was put on the market last year. 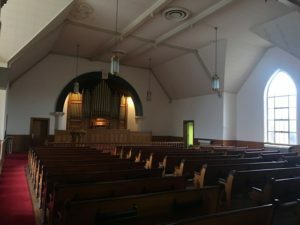 WNUMC includes several elements, from the original sanctuary to the later transept addition and 1947 Memorial Hall, and also holds a spectacular 1905 Kilgen and Son pipe organ which is seeking a new home. 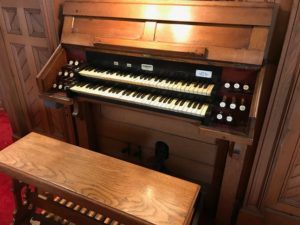 The organ has been maintained by local family business Milnar Organ Company, LLC for the past fifty years, and is being offered free if the buyer accepts moving costs. Cook plans to utilize the church’s historic and religious significance as a way to engage visitors and enhance their significant events, just as he’s done with the Ruby project. “At Ruby, we are always discussing the history of the old church, and I feel like a tour guide most of the time,” he explains. Restorations are planned for the church’s facade and windows, and interior design will reflect religious architecture. The nineteenth-century lectern and pews will also be retained in the space. And, like Ruby, Clementine Hall will continue to hold religious services on Sundays. 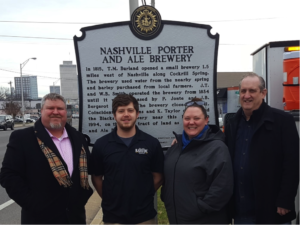 “We think historic buildings should continue to serve the purpose for which they were built,” Cook says, and by combining this original purpose with a contemporary business, Clementine Hall hopes to bring past and present together for an authentic Nashville experience. For more information about re-homing the 1905 organ, please contact Historic Nashville, Inc.